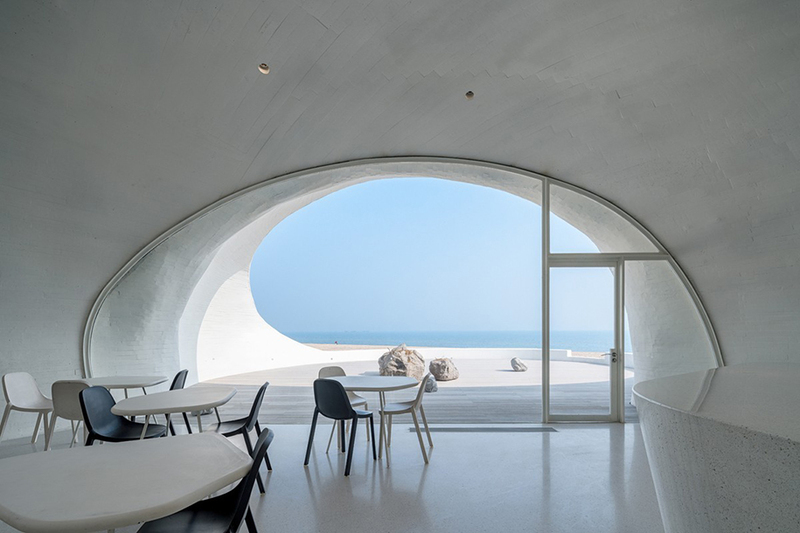 Under the ergs of one of the Bohai Gulf coast in China, the architecture firm of Beijing, Open Architecture, erects discrete concrete craters. Built to withstand the relentless coming and going of winds and tides, the infrastructure nestles, discreet, under the dunes thus excavated. 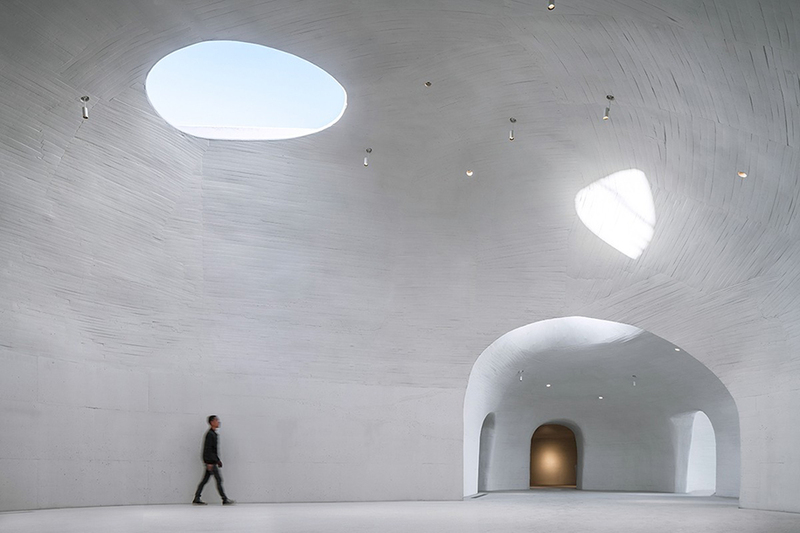 Instead of challenging the forces of nature, architecture takes hold of a primitive gesture that appeals to our childhood memories: that of digging, indefatigably, cellars that now permanently host the cavities of a Museum. 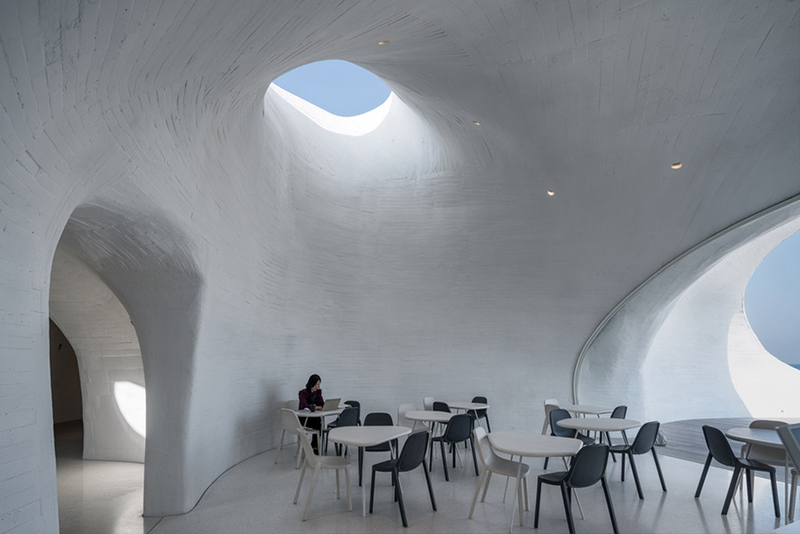 The complex forms a network of immaculate cells of 930 square meters which hosts a varied program with ten galleries and studios of different sizes, as well as a café. The building is soon awaiting further work to connect the museum to the ocean via a walkable walkway. 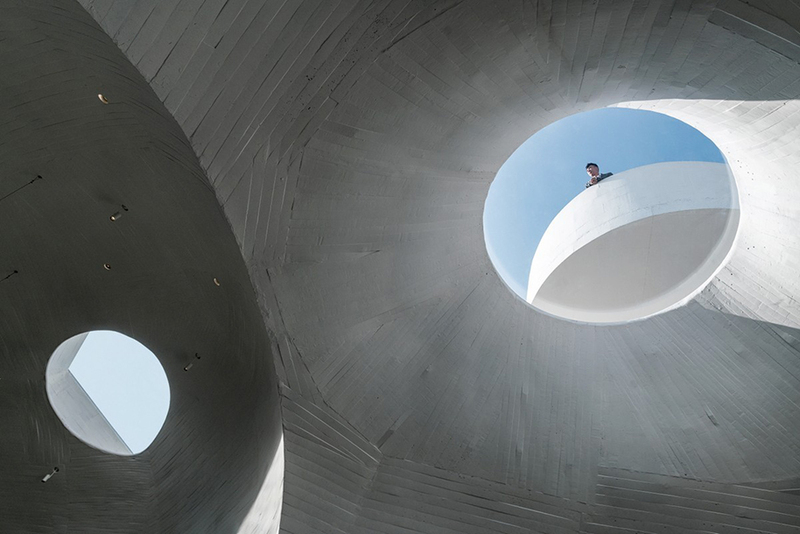 The complex is covered with a concrete shell formed of a linear wood cladding component formwork. 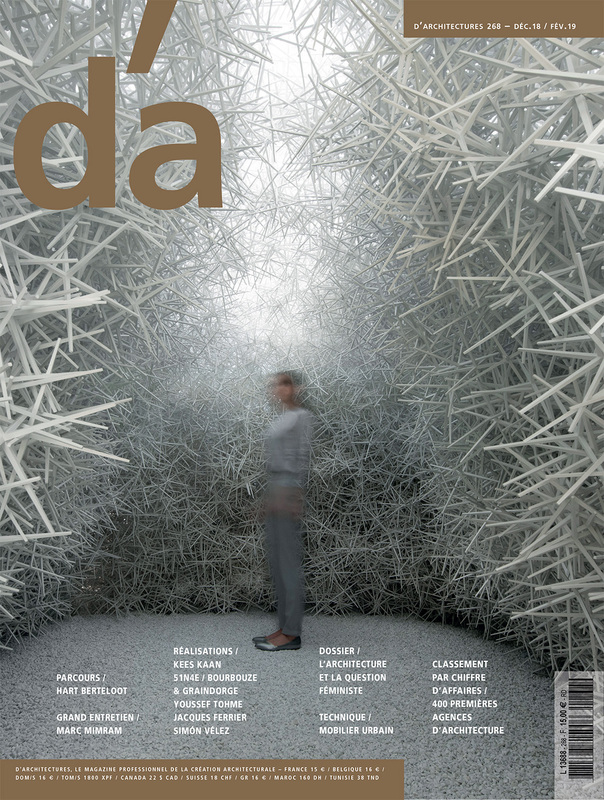 The latter is then covered with concrete whose irregular texture is deliberately kept by the designers. 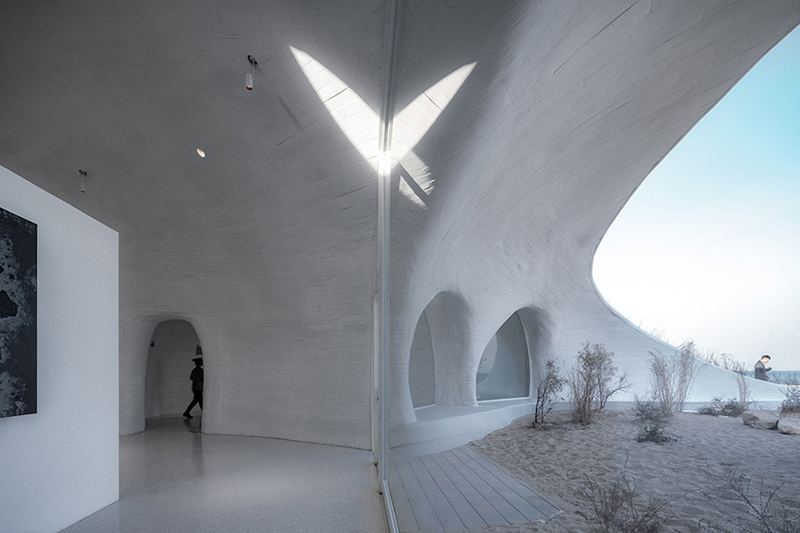 Nestled in its sandbox, the building enjoys stable temperatures since it is equipped with a low emission geothermal heat pump that cools the structure during the day. 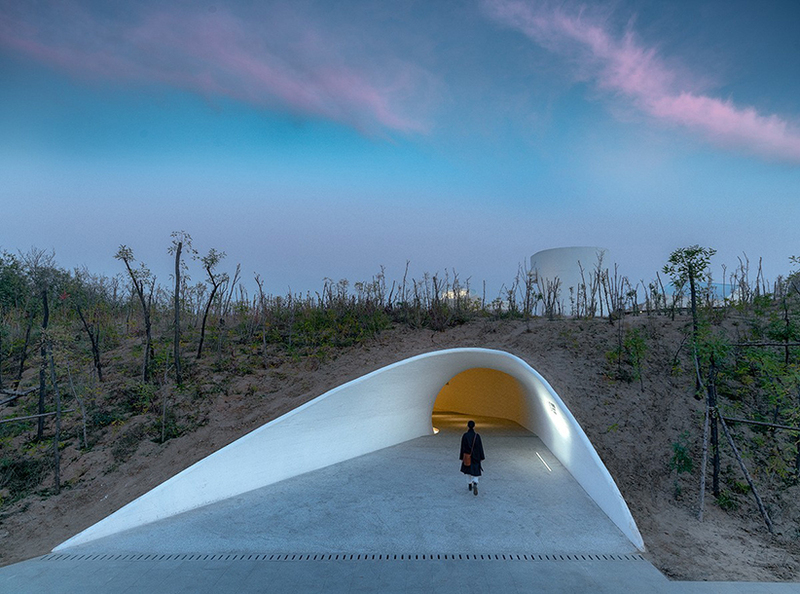 To familiarize the visitor with the depths of the building, a long enigmatic tunnel takes him first into a reception area, then suddenly let a beam of light enter a vast multifunctional gallery, via a circular zenithal opening. . A spiral staircase then leads to an outdoor observation post offering exceptional views of the azure landscape. 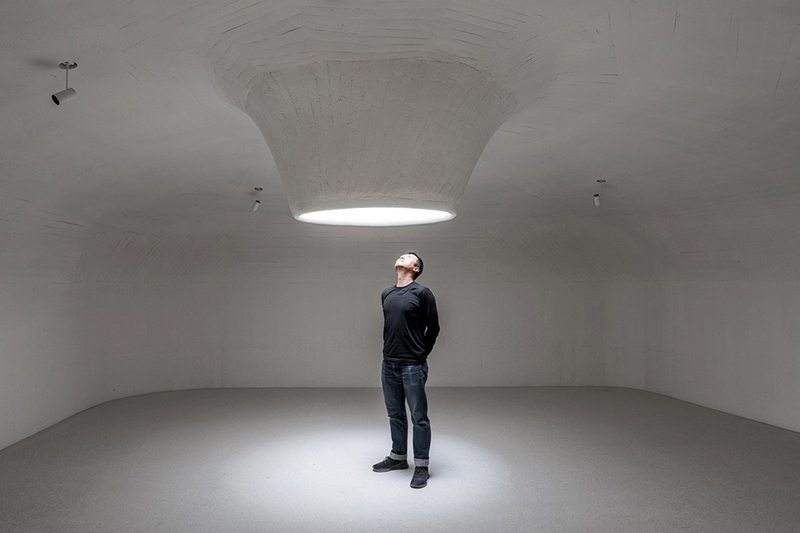 Through the multiple openings and skylights present in the building, of variable shape and orientation, the visitor has access to the expression of a building in its context: constantly changing. 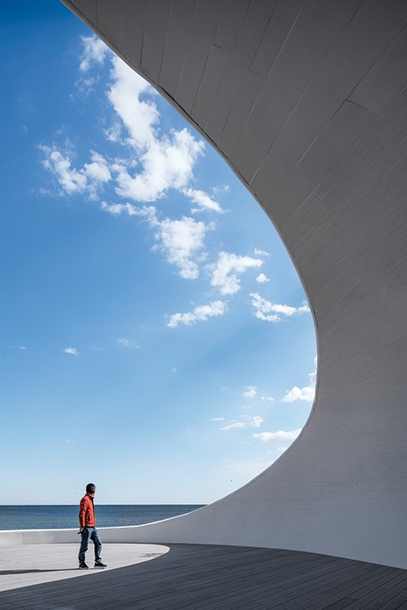 A real invitation to contemplation, this art museum plunges visitors into the unstable universe of the coastline, constantly subject to the shifting forces of its environment.